I'm a QUILTBAG reader, writer, and book hoarder.i've got a passion for the unknown, and studied Religion, Nursing, Philosophy, and Psychology in University. I run a small company making decadent bath & body products. 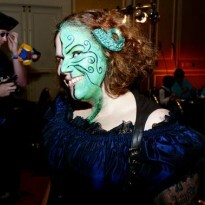 2 Wyrd Sisters is the place to start spoiling yourself and others. I'm a reviewer at Net Galley, and a writer at Pop Culture Beast. 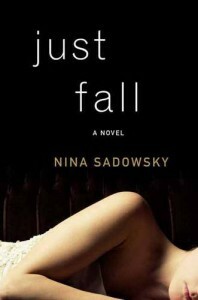 Just Fall, the first novel by Nina Sadowski, was promising. With a tagline of "How can you find out that the person you love is a killer...and continue to love him anyway?" it seemed just up my alley. Ellie and her new husband Rob have fallen into a trap of Rob's making. Lying about his entire life to Ellie, and then his past showing up at their wedding to ruin their lives. The book is told in chapters named NOW and THEN. A big problem with that is that the THEN chapters are not in sequential order, so trying to piece out the timeline is difficult, and while they eventually explain what is happening in the NOW chapters, they're confusing and just blah. In fact, blah if the exact word I've used in describing this book to friends. Nothing about it stands out or was interesting. The characters were totally flat, the plot was flat, the "action" was flat. The whole book was flat. It's one of the very few books that I've almost dropped out of reading in the middle. (One that hasn't smashed into my "disgust walls" of content to make me stop reading.) I forced myself to finish the book, hoping that it might get a little better, that it might redeem itself. It never did. I think the writing was ok, there weren't any glaring issues. It was probably well edited, all that jazz. It was just blah. Who would I recommend it it? Nobody. I don't want to encourage people to blow that kind of money on a book that just isn't interesting. I gave it three stars because it wasn't bad, it had some great potential (maybe), it just wasn't any good. There wasn't anything at all that stood out in the book. Nothing horrible, nothing good. Just blah. Blah blah blah. In the interest of disclosure, I did get an ARC of the book in return for a review.